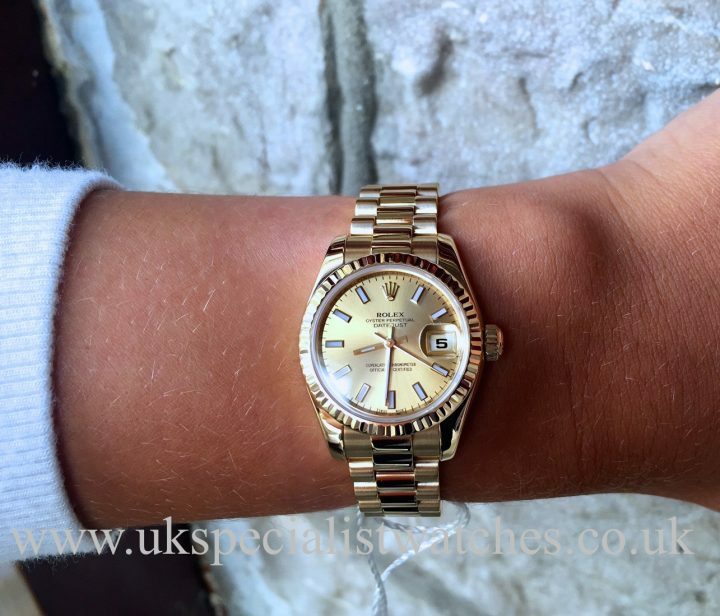 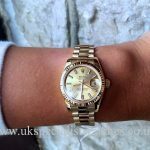 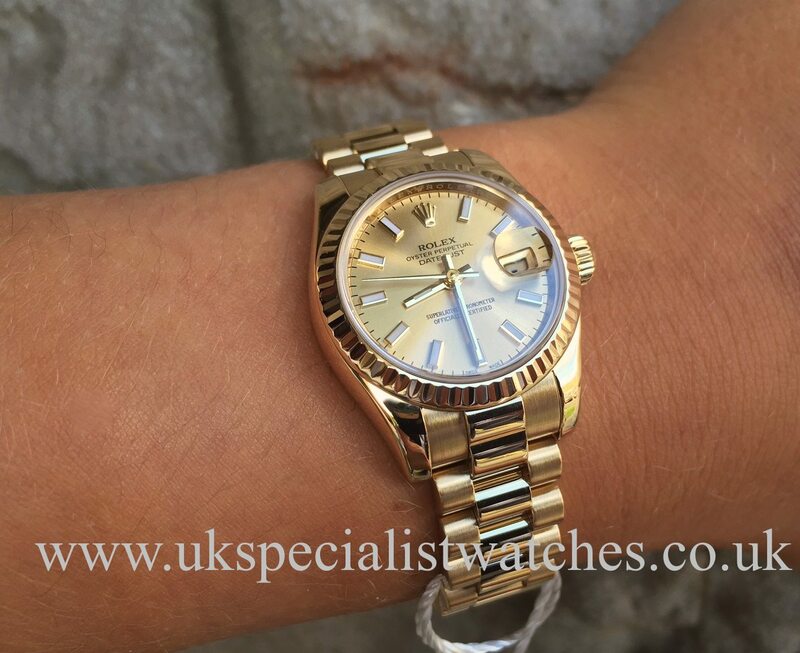 Ladies Rolex Datejust 179178 new model. 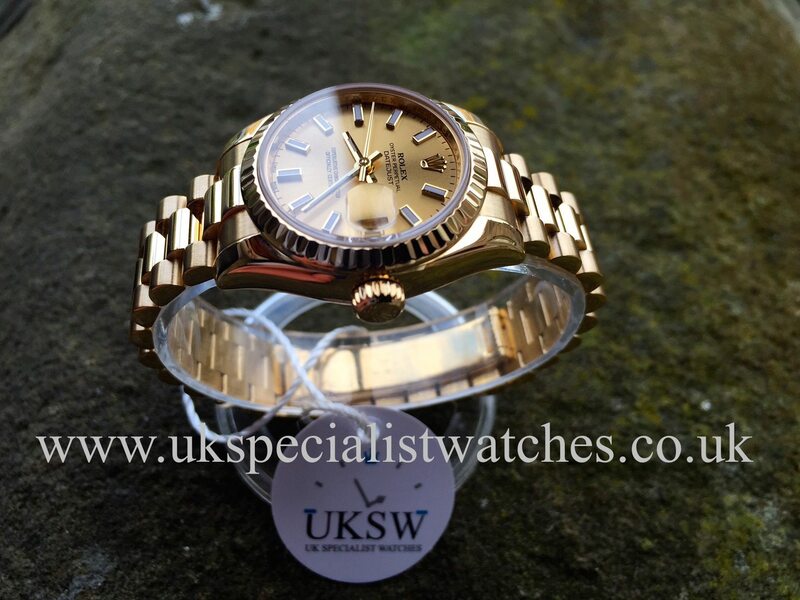 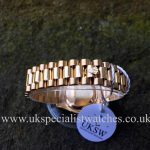 With a solid 18ct yellow gold revised slightly thicker 26mm case. 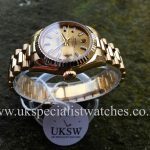 Beautiful Champagne dial with luminous baton hour markers cased in yellow gold . 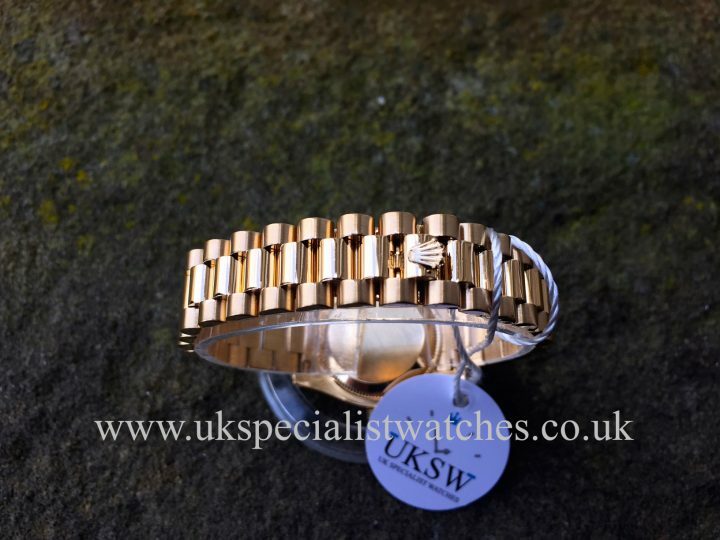 Solid 18ct Gold fluted bezel and fitted to a new style solid link 18ct gold president bracelet with concealed double folding Crown clasp. Water resistant to 100m, sapphire crystal glass. 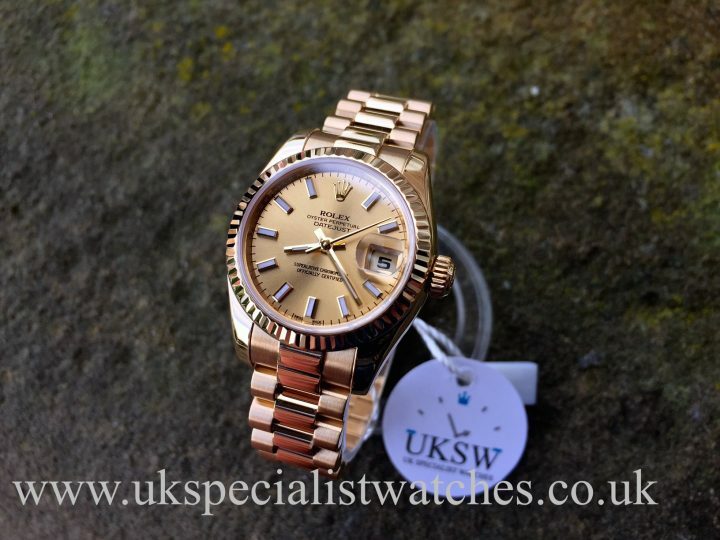 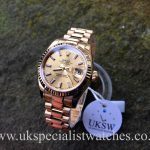 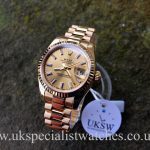 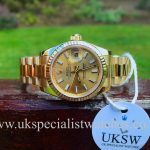 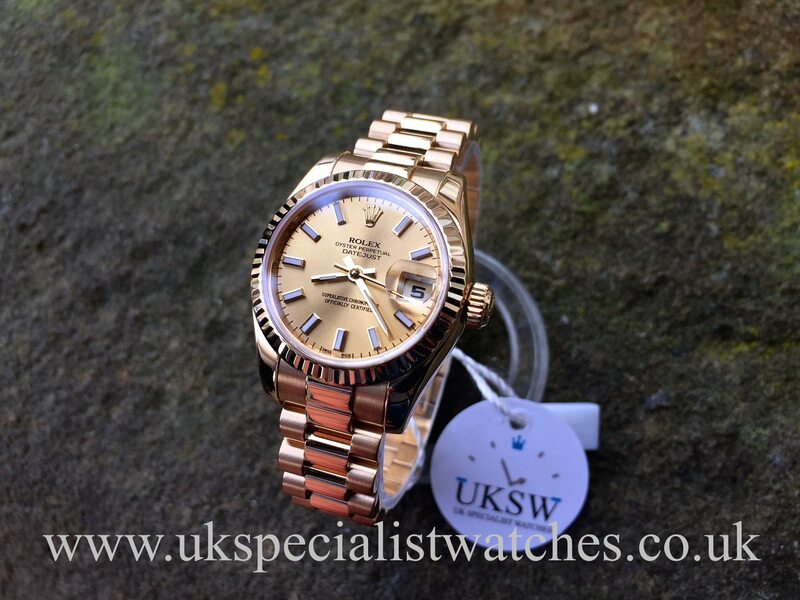 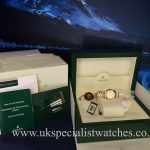 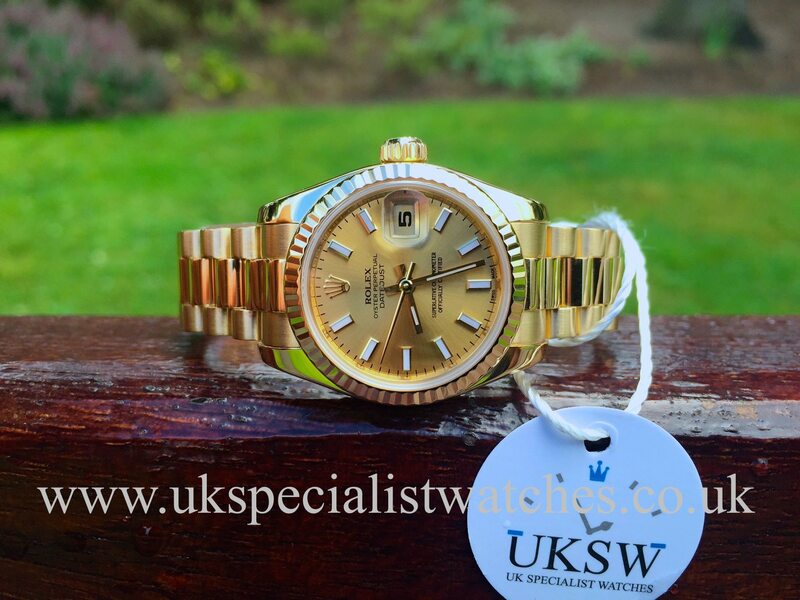 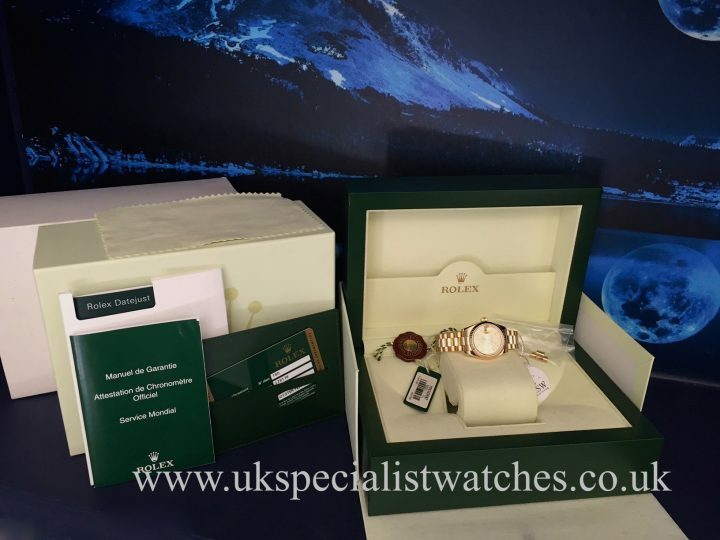 This watch is in totally immaculate condition and UK supplied new in Dec 24th 2012 and comes complete with boxes, warranty card, booklets and both swing tags. 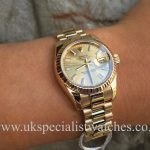 Costs new today over £17,250!